A question I’ve asked myself as a devoted reader of speculative literature, and one I’ve been asked a fair amount of times as a librarian, is what exactly is the difference between post-apocalyptic and dystopian fiction? Along with why would I want to read something so frightening and depressing? Post-apocalyptic is pretty self-explanatory. These are stories told after a cataclysmic event has happened in the world that wipes out a good chunk of the population and completely destroys infrastructure in such a way that the lives of the characters will never return to the normal they once knew. Common causes are nuclear war, catastrophic cosmic events, global warming, etc. Some popular examples would be The Road by Cormac McCarthy, Swan Song by Robert McCammon, and one of my all-time favorite novels, The Stand by Stephen King. In all of those books, the plot revolves solidly around the aftermath of a world ending event. In The Road, McCarthy takes a very cryptic approach, never specifying what exactly happened to the world, and throughout the story leaves much up to the reader’s imagination. In Swan Song, nuclear war has devastated the entire Earth, and in The Stand it is a mutated strain of influenza. A common denominator of all of these tales is a sudden, shocking, worldwide tragedy that forces the characters into survival mode. A dystopia, on the other hand, is the opposite of a utopia. It is a place or society that is undesirable. And this is where I think things get a little murky. Of course a post-apocalyptic world is going to be a dystopia. In almost every conceivable instance where the world has ended, the resulting society is going to be less than ideal. The main distinction seems to be that in dystopian fiction, the plot is centered around the resulting society rather than survival. For example, in George Orwell’s 1984 (probably the most well-known dystopian novel), the world has not ended, but the majority of the population are under the control of a tyrannical government. The same can be said of The Handmaid's Tale by Margaret Atwood, where the United States has been overrun by a religious sect and becomes completely ruled by “divine law”. And Brave New World by Aldous Huxley has a futuristic setting where a unified, global state of genetically engineered people have created a social hierarchy based on intelligence. In all of these examples, and many more of dystopian fiction, the world has not ended but has instead been altered beyond recognition, usually by technology, politics and/or religion. Dystopian fiction has experienced quite a revival in recent years. Experts agree that there are many factors, but that it all boils down to Millennials and Generation Z being more impacted by fantasy, and also more fearful of the future. In other words, and to borrow a poignant turn of phrase from author Robin Sloan in his book Sourdough, “we are the children of Hogwarts”. But we are also the children of 9/11, gun violence, very high sociopolitical tension, etc. We respect imagination, and we covet the wisdom it takes to avoid creating a dystopia of our very own. As far as post-apocalyptic fiction goes, an entirely new genre has emerged with the current state of the planet and the ideals of those growing up to solve its problems. 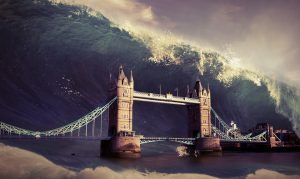 “Cli fi” or climate fiction, has sprung out of the ether to grapple with the effects of global warming, and isn’t going anywhere any time soon with its popularity soaring among younger readers. So to recap, post-apocalyptic fiction deals with survival of the characters after a catastrophe of some form or another, and dystopian tells of what is typically a resistance movement after a massive societal shift. The popularity of both genres, and the intersections of them, have increased greatly in the last decade. 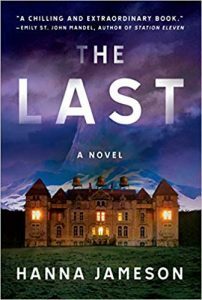 I recently picked up yet another post apocalyptic read, The Last by Hanna Jameson. Reading it, loving it, and then realizing why I loved it helped me to come to a conclusion about what the general draw to apocalyptic and dystopian literature is for me, personally. And that is the humanity. Whether it's surviving the end of the world or surviving in a harsh society, so much of the positive human experience is stripped away. These stories are entrenched in violence and ugliness, and empathy is usually the first thing to go when the characters are faced with such adversity. So it's the uncomfortable question you ask yourself throughout these books, and the one you're usually left with no matter how it all ends: What kind of person would I be if everything I knew was gone or permanently changed? That's why I love these stories. Because while not all have a happy ending, the heroes in them leave little doubt that you can still be a force for good and change a broken world.